Grab a coke and send an email: that seems to be the message from a new initiative in South Africa. In an attempt to increase the number of connected citizens, Coca-Cola and BT Global Services have teamed up to deliver Wi-Fi connectivity via drink machines to provide free internet access to two poor communities. According to Duncan Van Jaarsveld, BT’s head of sub-Saharan Africa, the project was the brainchild of the drinks giant. “The company’s African CIO thought how cool it would be if Coke machines within a deprived area could offer Wi-Fi connectivity,” he says. The two companies worked together on setting up a trial to assess the take-up. Under the terms of the deal, Coca-Cola is installing the refreshment-dispensing coolers while BT is providing design and support, connectivity and internet access, as well as business training. Two sites are being used in the trial: the first, the Sasol Integrated Energy Centre (SIEC) in Qunu, Umtata, is a popular spot for locals and is in close proximity to a taxi rank, attracting large numbers of people. The second site is the Thokozane Fast Food shop situated in Bushbuckridge, Mpumalanga. Both sites were selected for their accessibility but that wasn’t the sole factor in the choice. Van Jaarsveld says that that, in addition, the two sites areas are particularly poverty-stricken. “Bushbuckridge in particular is right at the bottom of the pile.” Connectivity will be supplied free of charge, without even a requirement to purchase anything, in an attempt to get as many people online as possible. The project went live on 23 September this year and will be assessed on a month-by-month basis. “We want to see what they’re using the Wi-Fi for and what the connectivity is like,” says Van Jaarsveld. He adds that the company had no pre-conceived expectations on what usage would be like or how popular it would be although he points out that even as a BT engineer was at Bushbuckridge setting up the system, there were 35 different IP connections. Van Jaarsveld hopes the Wi-Fi connectivity would help drive local residents to set up on own businesses. “We want to help those people who are entrepreneurial and who want to get into business, to get online,” he says, adding that most users will connect through their mobile phones. Each router has a 50m range but it’s not a particularly sophisticated setup. Van Jaarsveld adds that there is enough protection built into each router to ensure that there’s no malware or bots on the system. “We’ve even got cameras to monitor the machines in case of vandalism,” he adds. 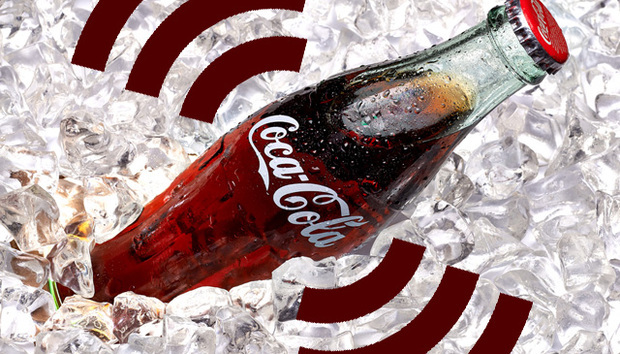 If the project proves to be successful, Coca-Cola and BT Global Services aim to install “Wi-Fi coolers” in various parts of South Africa to help support and grow sustainable communities. As for Coca-Cola, it sees these machines as a boost for business. “The initiative forms part of Coca-Cola’s commitment to building sustainable communities by empowering the members of these communities. We believe that by giving them access to free Wi-Fi we will enable students and schoolchildren in the area to increase their knowledge through research while also giving entrepreneurs and small business owners in the community the opportunity to manage some of their business aspects online,” says David Visser, CIO of Coca-Cola South Africa. Agile Fluency: Is Agile Delivering Value?